Belinda has advanced clinical training in psychological assessment and treatment of a range of psychological issues and concerns. She ensures that a thorough understanding of your concerns is gained before selecting the treatment approach best suited to your individual needs. Belinda's approach to therapy is warm and down-to-earth. She is easy to talk to, non-judgemental, open and empathic, and will help you gain an understanding of your inner experience. Belinda is able to treat a range of psychological and emotional issues, and her area of expertise centers around the treatment of trauma, complex trauma, and PTSD. Belinda draws from a variety of approaches such as mindfulness, acceptance and commitment therapy (ACT), cognitive-behavioural therapy (CBT) and psychodynamic approaches in her work. Belinda has a special interest in treating clients with a background in trauma; and enjoys working from a psychodynamic psychotherapeutic perspective. 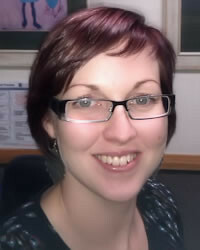 Belinda also tends to work extensively with mindfulness-based techniques, and acceptance and committment approaches. Some people find the experience of psychotherapy helpful in increasing your insight and awareness into the origins of emotional patterns and relationship issues. Having someone listen to you and spend their time tuning into your needs and wishes can be very gratifying and supportive. Sometimes the work can also be emotionally confronting and Belinda will guide you through this process carefully and safely as possible, with mutual collaboration, and respect at all times. Belinda has had extensive experience working in private practice, as well as settings includinh child protection, vocational rehabilitation, specialist counselling services, hospital mental health settings, and community health. Belinda is currently in her final year of completing the Doctorate of Clinical Psychology at QUT, and is an active member in the Australian Psychological Society, and the Australian Society of Traumatic Stress Studies. We are next to Pillow Talk and Hervey Norman in Village Square. There is plenty of parking, and buses can be caught from Grand Plaza to Village Square also. The fee for a 50 minute session is $165. plan, a $124.50 Medicare rebate is available. There are also some limited places available for reduced fee treatment in special circumstances. Please enquire. Cash, EFTPOS, Credit Card, Bank Transfer, Cheque. Medicare Rebates are also able to be processed on the day of the session.